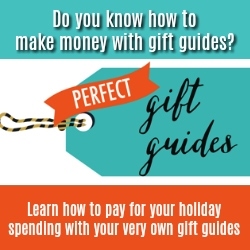 Cloaked in shadow and ready to strike at a moment’s notice, but not always easy to buy for, this guide is your one-stop-shop for that ninja in your life. From accessories to must have collectables, these items will make the perfect present for your favorite shinobi. 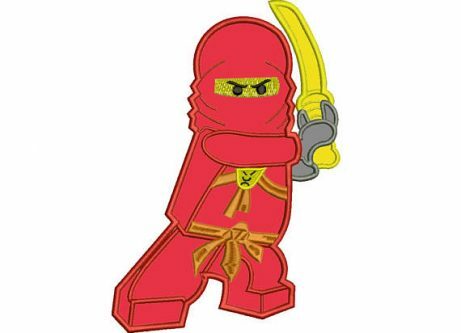 Tread carefully, and stay sharp as you enter the mysterious world of the ninja. The world’s foremost masters of stealth need look no further for the perfect mode of disguise. This Ninja Disguise T-shirt flips up at a moment’s notice, making it a really handy gift for any lover of the ninjutsu arts. Cold nights spent staking out a target can be challenging for a fledgling ninja perched atop a tree, that’s why I’d recommend the Ninja Mug Cozy. 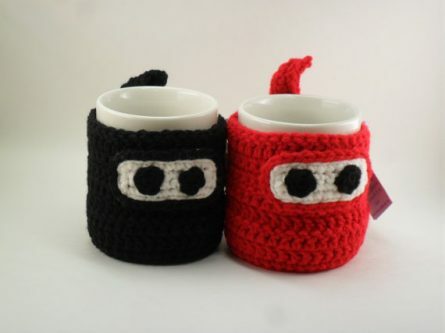 It’s the perfect gift idea for any ninja, plus everyone knows what a shame it is when your tea goes cold. Available in several different colors, this distinctive ninja-style footwear will have any ninja lover jumping for joy. They are authentic, and suitable for practical outdoor use so you can be sure your ninja will be most appreciative. Even the world’s most fearsome and mysterious warrior has an eye for cute things. This adorable and unique handmade Tiny Ninja Diorama is the perfect gift for the ninja who has it all. A ninja is only as good as the tools at his disposal, a skilled ninja relies on an array of gadgets to perform the task at hand. One such tool is the iconic grappling hook, used for scaling walls and dropping in on unsuspecting targets, it makes a great gift for your ninja’s arsenal. This humorous adorable baby bib lets everyone know just what kind of potential your ninja’s child possesses. 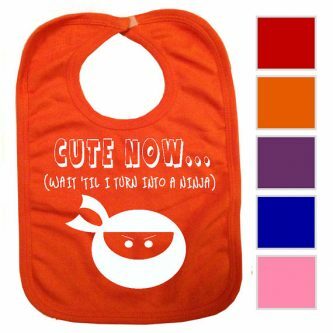 Both cute and practical, this bib will leave a lasting impression on a ninja fanatic and their family. This canvas wall scroll bears the auspicious painting, ‘The Great Wave’. 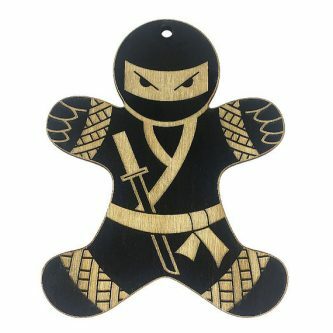 Instantly recognizable to any ninja enthusiast, this piece of decor is an unforgettable present. What could possibly make a ninja happier than a brand new pair of pants? 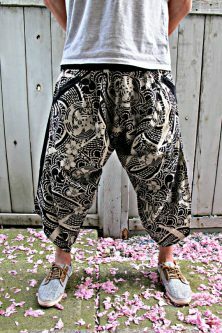 100% cotton, with an elastic waistband and tapered fit these pants are just what your favorite ninja needs for dashing through treetops and delivering the most devastating flying-kick. One of the most iconic and trustworthy go-to weapons of choice for any ninja is the Kunai blade. 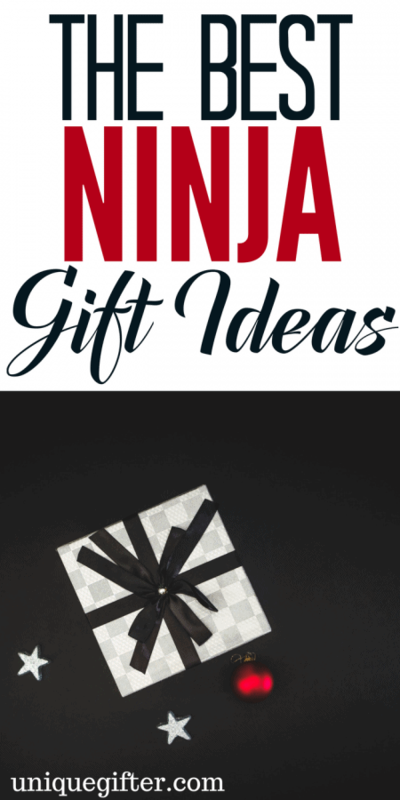 Whether for display or martial arts practice, look no further for a foolproof ninja gift that’s sure to please! Real ninjas can’t get away with just any old pair of socks. 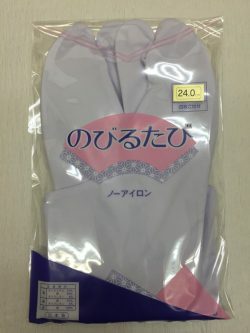 These ornate yet casual white Kimono socks are ideal for casual wear and costume use. The split toe design makes them compatible with classic ninja footwear, but also make for a comfortable fit around the house. Any ninja worth his or her salt must keep their mind as sharp as their blade. John Man’s book provides a comprehensive exploration into the history of the ninja while beckoning the reader into the shadowy cloaked mystery of their legacy. 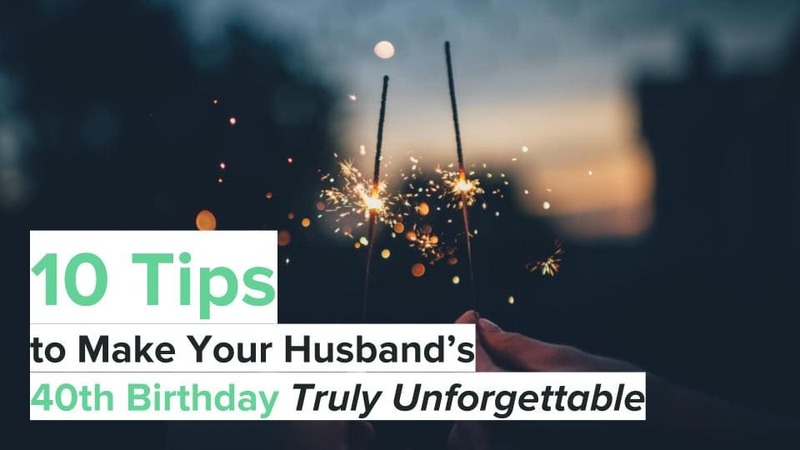 If there’s one thing missing in that ninja’s life of yours, it’s probably a chance to kick back and dive into their hobby with their closest friends and relatives. Worry not! For Ninja: Legend of the Scorpion Clan gives seasoned ninja warriors and desk jockey’s alike the chance to try their hand at 2-4 player stealth-movement based ninja strategy battles in this eye catching boardgame! Any ninja knows it’s important to dress the part. 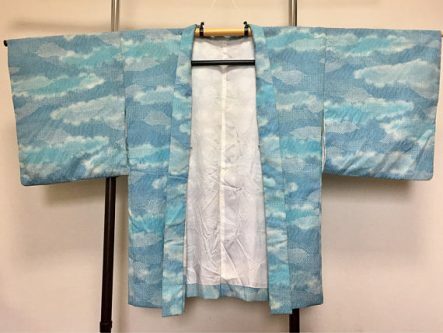 This ornate blue Kimono is the perfect outfit for any occasion. Its airy design allows for a free range of movement and comfortable fit; ideal for the swift and agile ninja in your life. This 12 piece set of comical secret flying ninjas are the perfect gift idea for any assassin in training. 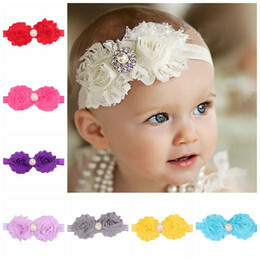 Not only are the great for dexterity practice, but they’ll deliver quite the laugh as well! What’s the one thing any ninja loves just as much as stealthily sneaking in the shadows and executing the perfect roundhouse kick? Baking. This pack of acrylic ninja cupcake toppers are the greatest present for any ninja with a sweet tooth. This high quality Japanese Katana sword maintenance kit will keep any ninja’s favorite blade in peak condition. Including all of the components necessary for proper cleaning and care; it makes sword ownership worry-free for your favorite shinobi. Even ninjas have kitchen parties, help them step their entertaining game up a notch with these cute and funny miniature Ninja Sword Toothpicks. 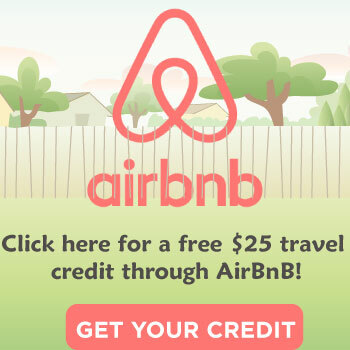 At long last, they can skewer their favorite cheese and charcuterie with a cute ninja sword! Whoever you give it to will love this ornament: Your brother Jimmy and his beautiful family, grandma with all the grand kids, or even aunt Margaret and her 5 cats could all love these gingerbread ninjas. The perfect gift idea for your shuriken-slinging friend in mind are these ninja Shuriken Coat Hooks. Everyone needs a place to hand their hat, why not do it in style? One sure fire way to put a smile on any ninja’s face is surprising them with their favorite candy, only with a Japanese twist! Matcha tea and sakura blossom flavored chocolates are a great way to treat them to something new. This gift guide should equip you with everything you need to impress your favorite ninja enthusiast.